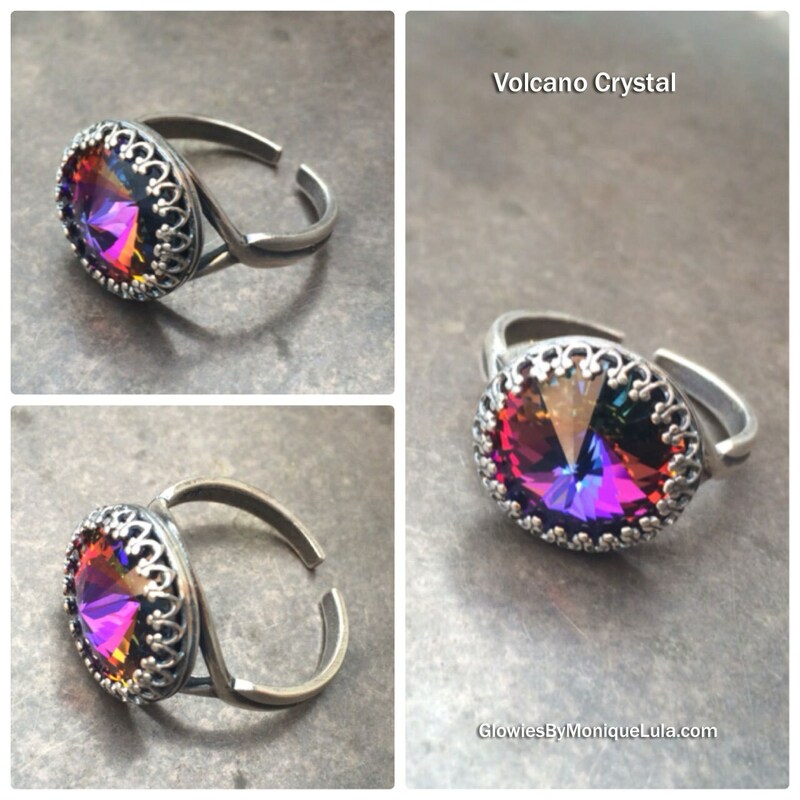 Beautiful Volcano crystal with a rainbow of magic colors glistening and reflecting healing colors. 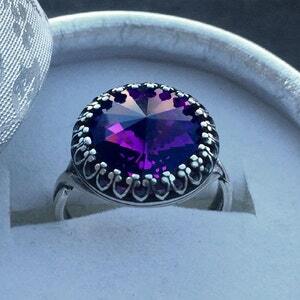 Made using Genuine Swarovski trademarked crystals not imitation. Has the best faceted edges and sparkle and shine. 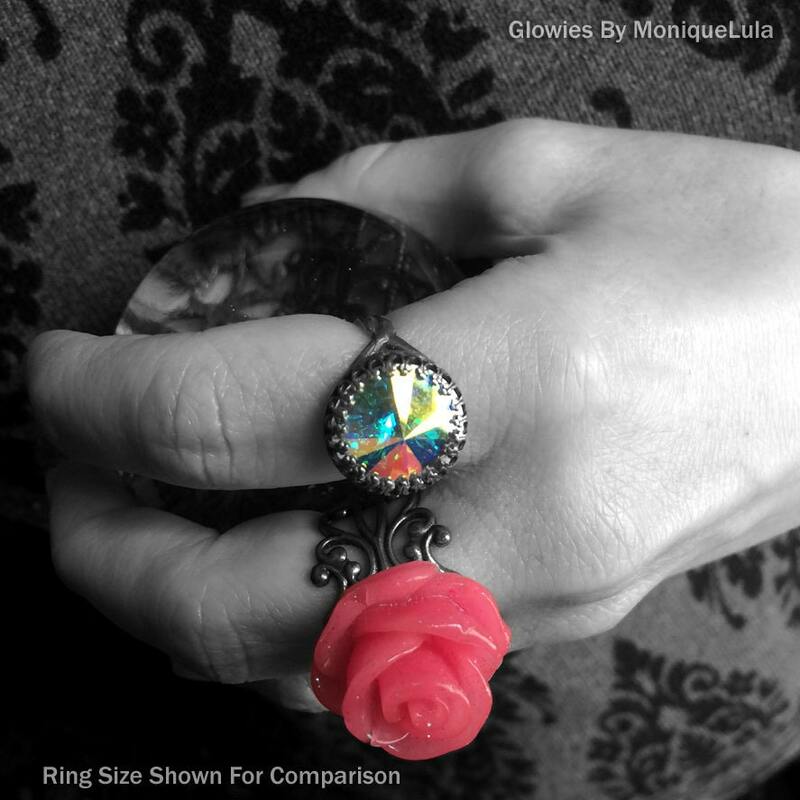 No need to worry about size ring is adjustable one size fits all. "When ordering from MoniqueLula, You are ordering from an American based family owned business directly from Monique Lula. Your order is safe and secure and we use tracking on all orders to make sure your items arrive safely. When ordering online it is important to know who and where you are ordering from and want you to know my Store is a legal US business, and appreciate your order tremendously and want you to return for future gift purchases. 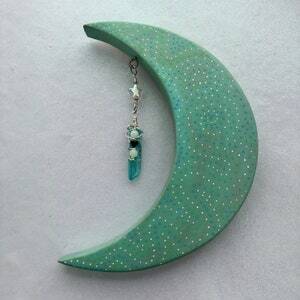 My glow in the dark jewelry is both shipped from and made in the United States with email notification and delivery confirmation. Comes with a Free UV Light so you can charge your necklace anywhere whether or not the sun is out. 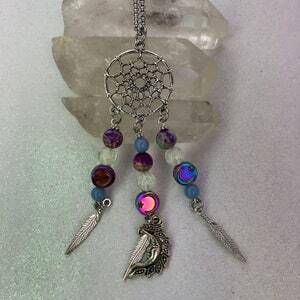 Delicately and professionally handmade in my smoke free jewelry studio in California, USA! Wear in sunlight for glow in the dark. 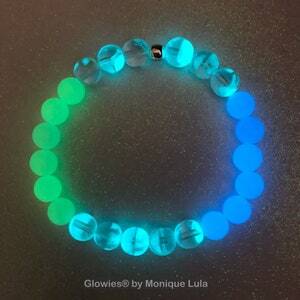 I only use Non toxic American made jewelry grade glow and materials made for skin contact. All orders ship with tracking and delivery confirmation. You also get email notification when your item ships. Thanks MoniqueLula."